GUYART, MARIE, named de l’Incarnation (Martin), Ursuline nun, foundress of the Ursuline order in New France; baptized 29 Oct. 1599 at Tours (France); d. 30 April 1672 at Quebec. A daughter of Florent Guyart, master baker, and of Jeanne Michelet, Marie was baptized in the former church of Saint-Saturnin. Her mother was descended from the Babou de La Bourdaisières, an old and noble family that had distinguished itself in the service of church and state. But Jeanne Michelet had married a simple and honest workingman who was well established and honoured in his guild. The Guyarts gave their seven children, three boys and four girls, a deeply Christian upbringing and a sound education. Marie went to school at an early age. Her earliest recollections are of trundling a hoop in a playground with a companion. One night she saw the Lord in a dream. Bending down to her, he asked her: “Do you want to be mine?” “Yes,” she replied. A “yes” which was to make of her existence an uninterrupted series of generous impulses. Marie Guyart was a little girl who was drawn towards divine realities. While still quite young, she used to spend hours telling her “personal matters” to God. Standing on a chair, she would repeat the sermons she had heard in church, and she used to stare after the priests whom she met in the street. What she called “a slight sentiment of prudence” kept her from kissing their footsteps and running after them. Marie early revealed a rich yet balanced character, apt for both mystical experiences and practical deeds. She was indeed a daughter of the first half of the 17th century: a period of chivalry and of good sense, a period in which speculation and action meet in a harmonious synthesis. At about the age of 14, Marie Guyart showed an inclination towards the life of the cloister; but, finding her to be of a gay and agreeable disposition, her parents thought instead that she was suited for marriage. Even though she was devout, Marie read novels and presented a cheerful exterior to the world. Claude Martin, a master silk-worker, came forward as a suitor, and Marie allowed herself to be contracted in this marriage, which did not bring her happiness. She always remained reticent about this period of her life, but her first biographer, Dom Claude Martin, speaks of trials of a rare and new sort. A mystery, which conceals domestic troubles caused by a jealous mother-in-law and financial difficulties which were to terminate in bankruptcy. It is possible that the precarious state of his business brought Claude Martin to his grave. He died in the last months of 1619, after two years of married life, leaving his widow with a son 6 months old. Little Claude, born 2 April, had been the only ray of sunshine in their marriage. As soon as she was free, Marie returned to her father’s house, and her longings for the life of the cloister became overwhelming. But the pitiful state of her affairs and her infant son kept her from withdrawing from the world. From all sides she was urged to remarry in order to re-establish her financial situation and provide for her son’s education. After some hesitation, she decided to follow her inclination towards the secluded life. Retiring to an upper room, she began to read works of piety and to converse closely with God. Suddenly the Lord burst into her life. She herself relates the mystical experience which brought about what she called her “conversion.” One morning as she was going to her work, an irresistible force descended upon her and stopped her in the middle of the street. In a moment the eyes of her spirit were opened and all her faults and imperfections were revealed to her collectively and severally, with “a clearness more certain than any certitude.” At the same moment she saw herself immersed in the blood of the Son of God. She confessed to the first priest she saw in the Chapel of the Feuillants and returned so completely changed that she was no longer the same person. This occurred on 24 March 1620. Marie was only in her early 20s. By her dress and her bearing she indicated that she no longer had ambitions for herself in the world. As she had a great deal of talent for business, her sister, who was married to Paul Buisson, the owner of a carrier business, induced her to come to live in her home. At first Marie took upon herself the most humble tasks in the house. In turn cook, maid, and nurse, she would sit down at table with some 30 drivers in order to keep them from uttering blasphemies, and when they were ill she took care of them like a mother. Being already bound to God by the vow of chastity, she also took the vows of poverty and obedience. We can imagine what she had to put up with from her sister and brother-in-law, who suspected nothing. In 1625 Paul Buisson entrusted her with the entire responsibility of his business. There she was, caught up in the worries of business, engaged in conversation with a numerous clientele, on the wharfs along the Loire, even in the Huguenots’ shop. She had, however, the experience of “an inner paradise,” and received ineffable revelations concerning the mystery of the Holy Trinity. She was about 27, and her son Claude had just turned 8. He was a frail, timid little boy whom his mother prepared gently for the final separation. Mme Martin became an Ursuline nun under the name Marie de l’Incarnation and took her vows in 1633. Claude continued his schooling with the Jesuits in Rennes. Soon Marie was assistant mistress of novices and instructor in Christian doctrine. She had, however, the secret conviction that the convent of Tours was only a stopping-point for her. Gradually her apostolic vocation became clear. In a dream God took her to a vast country full of mountains, valleys, and heavy fogs. Later the Lord said to her explicitly: “It was Canada that I showed you; you must go there to build a house for Jesus and Mary.” The mystery was resolved, the difficulties vanished. The Jesuit Relations informed Marie about the missions in New France. Father Poncet de La Rivière enabled her to meet Mme de Chauvigny de La Peltrie, who also was eager to devote her life to the evangelization of little indigenous girls. In human terms the undertaking seemed sheer madness: how could one picture frail women on a sea infested with reefs and pirates? Manifold objections sprang up in the way of the project. Certain Jesuit priests wanted to substitute the Ursulines of the Faubourg Saint-Jacques for those of Tours. Mgr d’Eschaux at first turned a deaf ear; the Compagnie des Cent-Associés refused passage to Mme de La Peltrie, who applied too late. Finally Marie de l’Incarnation, Marie Savonnières de La Troche, dite Marie de Saint-Joseph, and Mme de La Peltrie went off to Paris. They hoped to enlist there a third Ursuline; but the archbishop refused to expose Mother Saint-Jérôme to “the ravages of the sea and of the barbarians.” Mother Cécile de Sainte-Croix, an Ursuline from Dieppe, filled out their number at the last minute. Three Hospitallers also sailed for Canada: Mother Marie Guenet, dite Marie de Saint-Ignace; Anne Le Cointre, dite Anne de Saint-Bernard; and Marie Forestier, dite Marie de Saint-Bonaventure. 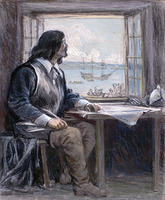 On 4 May 1639 the Saint-Joseph sailed off to the New World. Marie de l’Incarnation has left a picturesque description of the crossing and of the enormous iceberg which almost smashed the ship. 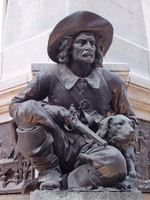 On 1 August 1639 the travellers arrived at Quebec. Marie de l’Incarnation’s apostolic life was thus intimately linked with the history of New France. Mother Marie proved first to be a business woman. She took up residence as best she could in a house in the Lower Town – makeshift accommodation that she subtly called her “Louvre.” To ward off the cold the sisters had to sleep in chests lined with serge. In 1642 they moved to the top of the cape, into the handsome convent all in stone, with three floors, 92 ft. long and 28 wide, a marvel for the country. During the night of 31 December fire destroyed the dwelling, the fruit of immense sacrifices. Marie de l’Incarnation started rebuilding. She held out thanks to her energy, ingenuity, and alms. She knew how to draw up contracts and defend her rights against certain gentlemen who tried to take her privileges away from her. On top of all that she had new and personal ideas about the country’s economy. The discovery of mines and salt-pits interested her. She suggested that if she were in the merchants’ place, she would export porpoise oil. She herself cultivated a garden, operated a farm, had wells dug. Her correspondence abounds in details of daily life. In our presence she counts her last sous, pays the workmen, kneads her barley bread. She even stops to look at her winded oxen. Governors, intendants, and notables of the colony consult her on temporal matters. She had great dreams for France, rejoiced in her compatriots’ exploits, measured the progress achieved at Quebec. In 1639 she had arrived in a little village composed of not more than a few houses; in 1663 there was talk of electing a mayor and aldermen. The custom of collecting tithes for the upkeep of the seminary and the founding of parishes had been established, and there were even plans for building a law-court and a prison. “In short all that sounds promising, and is off to a good start . . . ,” wrote Marie de l’Incarnation. 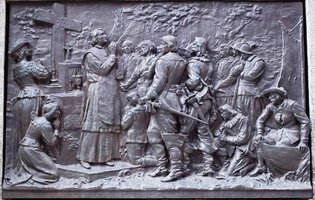 With the help of the Jesuits she drew up Constitutions which were suited to New France – a monument of practical and supernatural wisdom. Marie de l’Incarnation was indeed a mystic imbued with a sense of action. For 32 years the whole weight of the responsibility for the foundation rested on her shoulders. She defied Iroquois raids, bad weather, the ill will of men who are skilful in sowing tares in the field of the just. Marie de l’Incarnation used her talents as a leader for serving souls. It was indeed for this evangelical work that God had supplied her with the gifts of nature and of divine grace. In Canada she emulated the priests of the Society of Jesus, whose confidante and support she was. She accompanied them in her thoughts right into the Huron country, corresponded with them, even wished to share their martyrdom. The Jesuits were her spiritual advisers and her instructors in indigenous languages. ” 6 March—4 cords of firewood. ” . . . . . . . .—1 barrel of salted eel. The Ursulines’ boarding-school was first composed of 18 to 20 boarders who paid 120 livres per year for their board. As the years passed, the number kept increasing and the task became heavy and pressing. “If it were not for the Ursulines,” wrote Mother Marie, “[the young girls] would be in danger for their salvation.” The reason for this? Too much freedom was allowed the young girls. On the whole the Canadian girls had “an upright character,” and became steadfast in the right when they were aware of it, but sometimes it was necessary to teach them “in one year to read, write, count . . . and everything that a girl should know.” Before her death Mother Marie had the solace of bestowing the religious habit upon several native-born Canadians who had come to carry on the work. But Marie de l’Incarnation always kept the best of herself in reserve for the little indigenous girls. She received them with open arms, cleaned them up, taxed her ingenuity to understand them, to catechize them, and to make them happy. Her letters brim over with picturesque stories describing the fervour, the struggles, and the pranks of the children of the woods. These documents reveal Mother Marie’s deep understanding and her apostolic insight, as well as the mentality of the neophytes. She recommended to all the nuns, especially when dealing with the pupils of the seminary, that they use “greetings and little expressions of affection.” Often she called them the “delights” of her heart and “the brightest jewels” in her crown. The flowers of the woods did not, however, fail to blossom, to Mother Marie’s delight. Among others, there was Marie-Madeleine Chrestienne, a former pupil of the indigenous seminary of the Ursulines of Quebec, who became the wife of Pierre Boucher*, a future governor of Trois-Rivières. Mother Marie’s apostolate to the adults was also intensive. She catechized them and regaled them with sagamité (a dish of corn-meal and meat). When more than 40 years of age, she started to study indigenous languages and mastered them to such a degree that she wrote French-Algonkin, Algonkin-French, and Iroquois dictionaries and a catechism in Iroquois. Some of these works disappeared in the fire of 1686; the rest were given to Oblate missionaries who were leaving for the Canadian north. 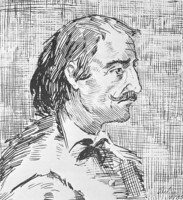 After the fire in 1650 the Hurons were afraid of losing Marie de l’Incarnation and her companions. Chief Taiearonk addressed them in these moving terms: “Courage, saintly maidens, do not let yourselves be overwhelmed by love for your family, and prove today that your affection for the poor Indians is an act of heavenly charity that is stronger than the bonds of nature.” After that, it is understandable that the Hurons of Lorette should have sent a postulatory letter to Pius IX in the autumn of 1875. In recognition of the services that Marie de l’Incarnation had lavished upon their fathers, they requested for her the honours of beatification. 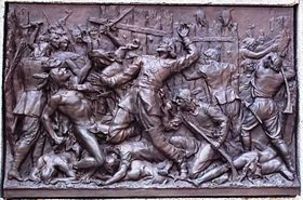 Certainly Marie de l’Incarnation had much to suffer from the Iroquois, who devastated her farms and killed her servants and her best friends. In 1660 her convent was besieged. Each year she wondered in anguish whether they should not have to return to France. The spiritual mother of the Canadian church, she felt the repercussions of all the trials inflicted upon her adopted country. For 33 years she took part in the unremitting struggles of the French to establish themselves in North America. Her letters recount this vibrant epic of efforts, defeats, victories, and bravado. 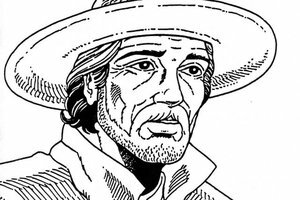 At the beginning it is the story of the hesitant little colony under the direction of Charles Huault de Montmagny. 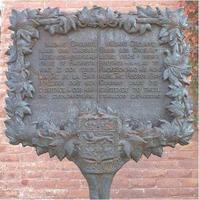 Then came the sacrifice of the martyrs and the arrival of Bishop Francois de Laval* in 1659. His Excellency had first resided in Mme de La Peltrie’s house, a humble dwelling located a few paces from the Ursuline convent. In mentioning this episcopal residence Bishop Laval wrote: “We consider it rich enough because it is sufficient unto our poverty. We have three priests with us, who are our table-companions, two servants, and that is all.” Marie de l’Incarnation had lent him her garden, and her perspicacious eye had quickly discerned the Bishop of Petraea’s tastes: “I do not say that he is a saint, that would be saying too much; but I will truthfully say that he lives like a saint and apostle.” In April 1660 Bishop Laval had paid his first episcopal visit to the Ursulines and had declared that he intended to bring about important changes in the Constitutions of 1646, which had been drawn up with such care by Father Jérôme Lalemant. Having resided in Canada since 1639, Marie de l’Incarnation understood better than the newly arrived Bishop Laval all the basic problems. Without taking “eight months or a year” for reflection, she felt that the proposed changes would ruin the Constitutions. Therefore she wrote, in a respectful but very firm tone:“. . . the matter has been thoroughly considered and our mind is fully made up: we will not accept it, unless we are pushed to the limits of obedience.” Along with tenacity went prudence and the gift of depicting people in a lifelike way: “We are however saying nothing, in order not to embitter matters; for we are dealing with a Prelate whose piety is so great that, once he is convinced that God’s glory is at stake, he will never accept reconsidering the matter, and we shall have to give in, which would be very prejudicial to our observances.” Bishop Laval kept the former Constitutions with the exception of five articles. In 1681, nine years after Marie’s death, the act of affiliation between the Ursulines of Quebec and those of Paris was to be signed. After Tracy’s expeditions came years of peace and prosperity which were rendered illustrious by the measures initiated by the intendant Talon. Mother Marie had worked very hard. Prolonged penances, illnesses that she had treated casually, had worn her out. What she called her “hepatic flux” was sapping her strength unceasingly. Sometimes her letters contained a bulletin on her health that was far from reassuring; she could no longer remain on her knees, her sight was failing, everything she ate had the bitterness of wormwood. And yet she exulted in the thought that the end was approaching, that soon she could see God face to face. Before dying she went over her life and felt that the time for departing had arrived: the Lord had showered her with mystic favours, the work of the Ursulines was going very well, and her son Claude had become her glory and her delight. 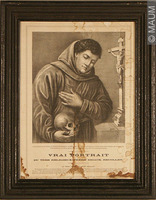 He had joined the Benedictines of Saint-Maur in 1641 and had been promoted to the office of superior in 1652. 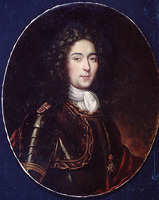 In 1668, as assistant to the superior-general, he had taken his place among the principal superiors of his order. Just before dying, Marie de L’Incarnation sent him an affectionate message: “Tell him that I am carrying him with me in my heart.” She said farewell to her little indigenous girls and passed away on 30 April 1672. Towards the middle of the 18th century the worship accorded the memory of Marie de l’Incarnation was about to be brought officially to the knowledge of the Holy See. But the Treaty of Paris, which handed Canada over to England, held up the proceedings that had been prepared. In 1867 circumstances seemed favourable to the renewal of the project. 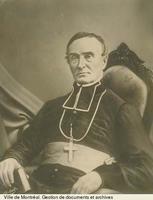 At the request of his Excellency Charles-François Baillargeon*, bishop of Quebec, the proceedings preparatory to the introduction of the cause of the servant of God were started. Here are the principal steps in these proceedings: introduction of the cause in the Court of Rome, 1877; process of absence of cultus, 1882; process concerning the reputation of sanctity, 1891; inquiry regarding the writings, 1895; validation of the processes conducted at Quebec, 1897; process of the practice of virtues in a heroic degree, 1907–10; decree asserting the existence of evidence of the heroic virtues of Marie de l’Incarnation (19 July) 1911. Marie de l’Incarnation would be beatified at Rome on 22 June 1980. Marie de l’Incarnation wrote a great deal, but not all of her writings have come down to us. There remain: a Relation autobiographique, written in 1633 in Tours; some Lettres de conscience, dating from the years 1625–34; some spiritual notes, Exclamations et élévations, which go back to the years 1625–38; an Exposition du Cantique des Cantiques, written between 1631 and 1637; the École Sainte: explication des mystères de la foi, written between 1633 and 1635; a Relation autobiographique, written at Quebec in 1654; a Mémoire complémentaire to the preceding Relation, written in 1656; the Correspondance, made up of letters of a historical and spiritual nature. 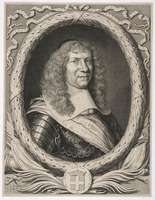 In 1677 Dom Claude Martin published a Vie, the story of his mother’s life, which contains fragments of the two Relations. A Recueil de Lettres followed in 1681. Today Dom Claude’s edition has become very rare. The more learned and more complete one by Dom Jamet comprises two volumes of religious writings and two volumes of letters (1639–60). Dom Claude cut up the Relation, taking 87 fragments from it which he spread through the 757 pages of the Vie, and then sent the precious document back to its owners. 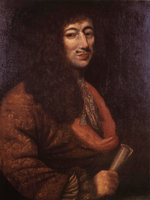 By means of comparisons and cross-checking Dom Jamet succeeded in making a rational reconstitution of the Relation of 1633. Thus it is possible to follow the various stages in the mystical itinerary of Marie de l’Incarnation. Lettres de conscience. Under this title are grouped some letters from Marie to her spiritual adviser, Dom Raymond de Saint-Bernard; his absences from Tours motivated Marie’s correspondence between 1622 and 1634. The samples which remain show that despite her noviciate, her vow of obedience to her spiritual father, and the reading of treatises on prayer, the Ursuline nun had kept her personal quality. One day she took the liberty of telling Dom Raymond that he must detach himself from everything, even from God’s gifts. The Relations d’oraison. Dom Claude Martin published these Relations under the title Retraites de la Vénérable Mère Marie de L’Incarnation. They are notes on prayer set down for her own use. These confidences, which were submitted to her spiritual adviser, explain all the ways in which the divine spirit acts upon a soul that is faithful to its inspirations. It was from this little book of Méditations, “more useful than 20 treatises on mystical theology,” that Henri Bremond took the principal elements of his study on the spiritual psychology of Marie de L’Incarnation. The Relation of 1654. This second autobiography is more extensive than the first, which it does not reproduce. Marie de l’Incarnation wrote it by fits and starts, at the long-repeated instances of her son and on the order of her adviser, Father Jérôme Lalemant. “In the midst of a period of great distraction caused by her everyday affairs,” Marie related the story of her life. After enjoining that it be kept secret, she speaks freely of the favours that she has received, and of the heights that God has made her climb. Her shrewd psychology sorts out the interplay of the faculties and the ineffable touches of divine love. This Relation is sufficient in itself to class Marie among the most sublime mystics of the universal Church. Theologians, philosophers, and linguists have not finished making use of this journal, which is still of intense interest. Marie de L’Incarnation sent this long letter to her son with this recommendation: “If you have difficulties with it, you can point them out to me by indicating the passages.” The prior of the monastery of the Blancs-Manteaux sent a long list of questions to Quebec. In 1656 he received a Supplément of which only a few articles are known to us. The Correspondance. Marie de l’Incarnation was a born letter-writer. It is estimated that she must have written about 13,000 letters in her life. Five or six of the originals have escaped oblivion. Dom Claude Martin published 221 of them, a very limited number which was to be reduced further because certain items had been divided into two. Richaudeau and Dom Jamet were fortunate enough to find some of these letters. If most of Marie’s letters have disappeared, the Registre des bienfaiteurs des Ursulines de Québec gives us the list of the principal recipients. The list is incomplete but huge enough to make us deplore the loss brought about by the destruction of a multitude of letters. 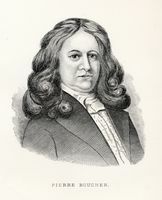 If we are to judge them by some very extensive specimens, a number of them must have been veritable treatises on the spiritual life and chapters on the history of the colony. Marie touched on every subject, wrote as her pen ran on, at night by candlelight. Her letters were only rough drafts which she sent off without having time to reread them. The ships were waiting and her hand would become so tired that she had difficulty guiding it. In such a conjuncture she could have limited herself to the essential, sending laconic notes, requests and thanks in telegraphic style. Not at all! She allowed herself the pleasure of recounting picturesque scenes drawn from life and full of exciting topical news. Straight away she shows us her entire self as well as her period and her contemporaries. It is above all in her letters that she opens her heart unrestrainedly, revealing all the facets of her inspired personality. One can feel the beatings of her heart, which is that of a mother, friend, nun, and patriot. She talked about everything, even though she had not gone to specialized schools; she settled the most complex problems, all because she looked at the world in the light of eternity, with eyes that were detached from all unhealthy desires. And her style, flowing and cheerful, assumed all the inflexions of the human register. As soon as she left the parlour she put her impressions down on paper, upon which immediately appeared figures of unforgettable accuracy and life. Mother Marie’s letters have all the qualities and all the defects of writings that have been spontaneously poured out; but some negligence of form is pardoned a person who knows how to use the magic wand of life. A daughter of the 17th century, Marie de L’Incarnation possessed a sense of order and harmony. The unity that she achieved in her own being appears in her writings, as limpid as her soul, which was detached from all trifles. In 1645 Marie de l’Incarnation desired the union of all the congregations of French Ursulines. Her dream was realized in Canada in 1953. Her daughters were grouped under the direction of a superior-general and provinces were created at Quebec, Trois-Rivières, and Rimouski. Faithful to the missionary spirit of their foundress, the Canadian Ursulines have spread to Japan (1935) and South America (1961). Archives manuscrites des Ursulines de Québec. Archives manuscrites du Couvent des Ursulines du Faubourg Saint-Jacques, Paris. P. F.-X. de Charlevoix, La vie de la Mère Marie de l’Incarnation, institutrice et première supérieure des Ursulines de la Nouvelle-France (Paris, 1724). Eugène Griselle, La vénérable Mère Marie de l’Incarnation, première supérieure des Ursulines de Québec: supplément à sa correspondance (Paris, [1909?]). Marie Guyart de l’Incarnation, L’école sainte ou explication familière des mystères de la foy pour toutes de personnes qui sont obligées d’enseigner la doctrine chrétienne (Paris, 1684); Écrits (Jamet); Lettres (Martin); Lettres (Richaudeau); Retraites de la Vénérable Mère Marie de l’Incarnation, religieuse ursuline, avec une exposition succincte du “Cantique des cantiques” (Paris, 1682); Le témoinage de Marie de l’Incarnation, Ursuline de Tours et de Québec, éd. 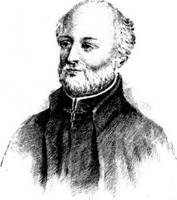 Albert Jamet (Paris, ); La vie de la Vénérable Mère Marie de l’Incarnation, première supérieure des Ursulines de la Nouvelle-France, tirée de ses lettres et de ses écrits, éd. Claude Martin (Paris, 1677). JR (Thwaites), passim. 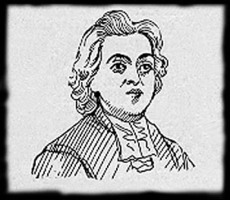 JJ (Laverdière et Casgrain), passim. J.-L. Beaumier, Marie Guyart de l’Incarnation, fondatrice des Ursulines au Canada 1599–1672 (Trois-Rivières, 1959). 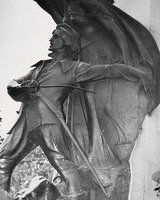 Henri Bremond, Histoire littéraire du sentiment religieux en France depuis les guerres de religion jusqu’à nos jours (12v., Paris, 1916–36), VI (1926): La conquête mystique: Marie de l’Incarnation. 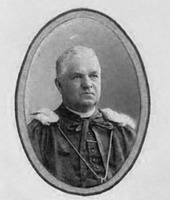 H.-R. Casgrain, Histoire de la Mère Marie de l’Incarnation, première supérieure des Ursulines de la Nouvelle-France, précédée d’une esquisse sur l’histoire religieuse des premiers temps de cette colonie (Québec, 1864). Marie-Emmanuel Chabot, Marie de l’Incarnation d’après ses lettres (Québec et Ottawa, 1946). Henri Cuzin, Du Christ à la Trinité, d’après l’expérience mystique de Marie de l’Incarnation (Lyon, 1936). Glimpses of the monastery: scenes from the history of the Ursulines of Quebec during two hundred years, 1639–1839, by a member of the community (Québec, 1897). Georges Goyau, “La première française missionaire: la vocation canadienne de Mère Marie de l’Incarnation,” Études, CCXXVII (1936), 145–68. 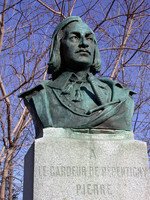 Fernand Jetté, La voie de la sainteté d’après Marie de l’Incarnation, fondatrice des Ursulines de Québec (Ottawa, 1954). 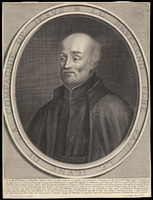 Joseph Klein, L’itinéraire mystique de la Vénérable Mère Marie de l’Incarnation, Ursuline de Tours et de Québec, 1599–1672 (Issoudun et Paris, 1938). Marie de l’Incarnation, éd. Marie-Emmanuel Chabot (Classiques canadiens, XXV, Montréal et Paris, 1962). Marie de l’Incarnation fondatrice du Monastère des Ursulines de Québec (Québec, 1935). M. T.-L. Penido, La conscience religieuse: autour de Marie de l’Incarnation (Paris, 1935). A. Poisson, La dévotion au Saint-Esprit illustrée par le témoignage de Marie de l’Incarnation de Tours et de Québec (Paris, 1960). Paul Renaudin, Une grande mystique française au XVIIe siècle, Marie de l’Incarnation, Ursuline de Tours et de Québec; essai de psychologie religieuse (Paris, 1935). Agnes Repplier, Mère Marie of the Ursulines: a study in adventure (New York, 1931). Les Ursulines de Québec, I.
Arch. Départementales d’Indre-et-Loire (Tours, France), “Reg. paroissiaux,” Tours, Saint-Saturnin, 29 oct. 1599: archives.cg37.fr/Chercher/REGISTRES_PAROISSIAUX-ABCN.html (consulted 6 July 2016). Le Saint-Siège, “Beati e Santi del pontificato di Giovanni Paolo II”: www.vatican.va/news_services/liturgy/saints/ns_lit_doc_20020527_saints-jp-ii_it.html#1980 (consulted 12 Sept. 2012). Marie-Emmanuel Chabot, o.s.u., “GUYART, MARIE, named de l’Incarnation (Martin),” in Dictionary of Canadian Biography, vol. 1, University of Toronto/Université Laval, 2003–, accessed April 24, 2019, http://www.biographi.ca/en/bio/guyart_marie_1E.html.